Boost your electronics for better results on the bite. A world-leading brand in fishing electronics since 1957 and the longest-running sponsor of Bass Anglers Sportsman Society (B.A.S.S. 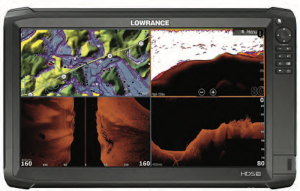 ), Lowrance now offers its HDS CarbonTM 16, a new high-performance fishfinder/chartplotter with a 16-inch screen—its largest yet. The high-definition screen on HDS Carbon 16 displays showcases the clarity, high resolution and superior target separation of SolarMAX™ HD technology, exclusive to the HDS Carbon series. Setting up a four-panel split on the HDS Carbon 16 gives anglers the equivalent of four 7-inch screens on a single display. 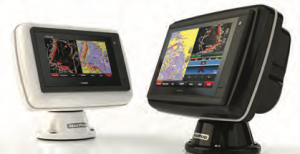 Anglers in the market for a do-it-all, integrated system need a processor that can smoothly drive high-tech features like StructureScan® 3D with SideScan and DownScan Imaging™, StructureMap™, Broadband Radar™, and SiriusXM® Weather Chart Overlay. HDS Carbon 16 delivers with a dual-core processor that allows anglers to switch between applications and simultaneously view independent sonar feeds. Lowrance SolarMAX HD display technology features high-definition views and clear visibility with a wide range of viewing angles even when wearing polarized sunglasses. The new displays are engineered to withstand higher temperatures than conventional units, offering enhanced reliability in warmer climates. 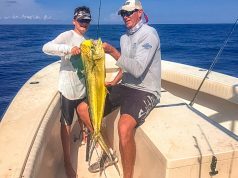 The secret behind the new SolarMAX HD displays come from the implementation of the most advanced IPS (in-plane switching) screens in fishing electronics. With superior color accuracy and boosted high-definition reproduction, IPS screens are perfectly designed for viewing picture-like sonar images. With Live Network Sonar, HDS Carbon 16 gives anglers the capability to view and control two independent, live sonar sources at different locations—like the front and the back of the boat— from a single display. 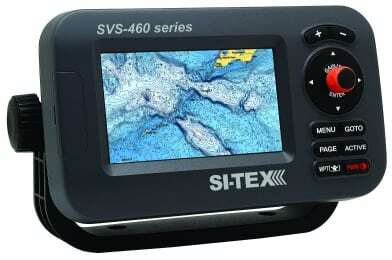 This powerful feature provides anglers with a comprehensive picture of underwater activity with convenient and complete control. In addition to integrated wireless connectivity, HDS Carbon 16 offers Bluetooth® control of multiple Power-Pole® shallow water anchors and Bluetooth audio streaming from the SonicHub®2 marine entertainment system. 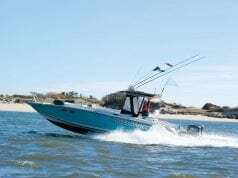 Anglers can navigate with ease behind proven Lowrance navigation technology, high-resolution mapping with enhanced coverage of coastal and inland waters, a 10 Hz internal GPS antenna, and a multitude of mapping options accessible from the unit’s dual microSD card slots. HDS Carbon 16 is compatible with the most expansive selection of optional cartography on the market, including Insight Genesis™ custom mapping, C-MAP Insight PRO, C-MAP Lake Insight HD, C-MAP MAX-N+, Navionics® and more. Owners of select Garmin products now have access to high-quality waterproof housings specially designed to protect their electronics. NavPod, manufacturer of housings for marine electronics, offers PowerPods that are compatible with the recently released Garmin GPSMAP® 722/742, 922/942, 1022/1042 and 1222/1242 chartplotters. The units are available in high-gloss white or the new Carbon Series and are ideal for any powerboat installation, including inland fishing and offshore powerboats. 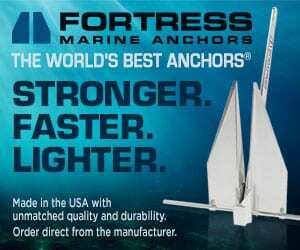 PowerPods are sturdy and safe, yet clean and attractive, and the secure mount protects fishfinder/chartplotters from harsh boating conditions. PowerPods feature a swivel base while also providing added security from theft. 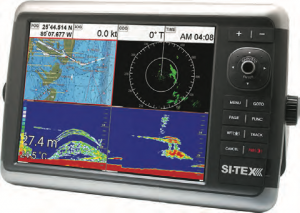 SI-TEX Marine Electronics recently introduced its NavStar Series Multifunction Displays (MFDs) for 2017 —the 10-inch display NavStar 10 and the 12-inch NavStar 12. The new NavStar Series is the fi rst SI-TEX MFD to allow navigators to access all of the unit’s advanced features via simple touchscreen or traditional controls. NavStar’s versatility is further enhanced by built-in Bluetooth connectivity and wireless LAN, providing fast Internet connection, automatic chart and software updating, and video and music entertainment. NavStar’s powerful 4kW dual-range radar capability enables viewing both close-in and far-away targets simultaneously for heightened safety and situational awareness in all conditions. The built-in chartplotter provides radar/chart overlay capabilities with all the latest navigation features and content-rich detail of trusted C-MAP 4D cartography. 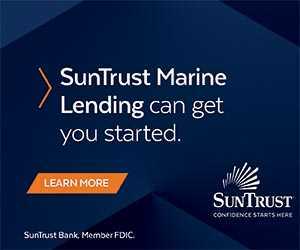 The NavStar series is also equipped for optional Skymate satellite communications for access to up-to-date weather forecasts, Nexrad radar and sea surface temperatures, as well as the ability to transmit texts, emails and faxes via Skymate. 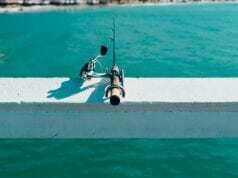 Coastal and offshore anglers will appreciate NavStar’s dual-frequency 50/200kHz sonar for advanced detail of bottom composition, structure and suspended fish schools. Whether it’s used for safety, effi cient navigation, fishfinding, or entertainment, NavStar’s high-brightness, high-resolution color display provides excellent sharpness and clarity, even in full sunlight for superior visibility in real-world conditions. The design is easy to bracket or flush mount on any bridge, helm and console, and it’s backed by the company’s two-year warranty. Previous articleAre Acidifying Oceans Slowing Coral Disease?